In most the case, when the website is not working, it will be because the file permission of file on your website is incorrect. When the files are being uploaded we check if appropriate permission is given to the files and folders, the permission for files should be 644 and the permission for folders should be 755. When the file is uploaded the wrong path, your website will not work. Be sure that the files are being uploaded to the correct path. Normally in Linux shared hosting the path for the primary domain where the files should be upload is /public_html and for its addon domain the path public_html/domainname or /domainname in the file manager, and for windows hosting the files should be uploaded in httpdocs or /domainname. For example, You could be developing your website in your Windows system, Such as Windows 7 or Windows 10. 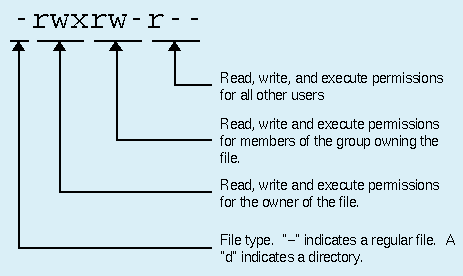 Windows Desktop file systems are different from linux file systems. You might be using XAMPP or similar tool to develop your website, When developing a website, most likely you might have hard-coded some values such as D:\some_project\some_folder\some_files.php, When you upload these files to the sever, It will not work as the files are missing in the give directory. That's why, You should never hard code the file path or values in the source. After you upload the files in the server, check from c-panel required php version, short_open_tag and other needed extensions are available. In Linux hosting, you can change the php version using the php.ini file and in windows hosting you can change it in hostings settings. 1. You might have a developed a website, In your local machine using old version of PHP and Apache combination, Such as PHP 5.6. When you develop a website using PHP 5.6 and you have uploaded these to the server, Which is using latest version of PHP, such as 7.0 or 7.1 then most likely you will have a problem. PHP 5.6 may have some extension such as .so file, which will not be compatible with the latest version available with server. As No.1 hosting company in India, HostingRaja always uses the very latest technologies available to the customers. When you face website not working issue it's better to start check from the .htaccess or web.config file,In Linux hosting .htaccess file is used and in windows hosting web.config file is used. When the default code for .htacces file or web.config file is wrong your website may not work on the server. When you develop a website, It is very common that, developers starts his development work with default user name and password. Example, If the developer name is kumar, then the developer keeps the username as kumar and password as kumar123. But, When you lauch the project, developers might change the username, password or even the Database name. This will cause a problem. You should avoid hardcoding the DB username, password and database name, It should always configured in some common settings or config file. When you upload a website which is developed locally in your local machine using software such as Filezilla or any other applications, If there is a poor connectivity, then during upload few files may go missing. It is very common that, Nowadays CMSs such as Joomla, Drual and WordPress or any other CMS has 1000s of files including all the PHP, JS and css files. It is vey much possible that, some files might go missing. So thats why we suggest you to zip the file and upload it to the server, Once upload is completed, you can unzip it. But, When you unzip/untar the file, make sure that the permissions are set to correct. It is even possible that, Some of the tables might be corrupted or missing, then in this case also, Website will not work.